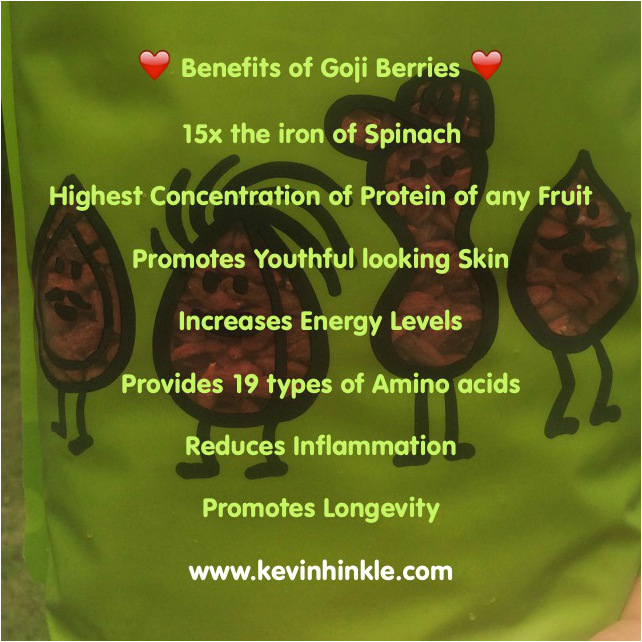 Goji Berries - Are You Ready for a Change? Goji berries (Lycium barbarum) are the most nutritionally dense fruit on Earth. They are a member of the nightshade family (Solonaceae), which contains many other common vegetables such as potato, sweet potato, tomato, eggplant, and pepper, as well as some poisonous plants like belladonna and deadly nightshade. Native to the Himalayan Mountains of Tibet and Mongolia, the goji berry is now grown in many other countries as well. Gojis are most commonly available in dried form, and make a great snack eaten as is, added to trail mix, muesli or salads. They can also be soaked for a couple of hours in enough water to cover them. Then the soak water can be drained off and makes a delicious drink, or both water and berries added to smoothies. Provide Sun Protection - Goji berries protect the skin from the sun, according to a 2010 University of Sydney study published in "Photochemical and Photobiological Sciences." The study's researchers reported that goji berries reduced an artificially induced sunburn reaction by supporting the skin's immune response. The compounds responsible for the action were the berries' antioxidants. Boost Sexual Hormones - According to an article in "New Life Journal," the goji berry has been used traditionally to boost sexual desire and stamina. Its aphrodisiac and fertility enhancement qualities have been utilized for thousands of years in Tibet. A 2006 study published in "Life Sciences" confirmed goji's traditional use as an aphrodisiac. The researchers, led by Dr. Q. Luo from Wuhan University, China, found that constituents in goji berries regulated the release of sexual hormones, boosted hormone levels and increased the concentration of sperm in male rats. The researchers concluded that goji berries increase male fertility. Human studies are still needed to confirm these findings. Provide Nutritional Support - Goji berries contain the following nutrients and beneficial properties that support the body's normal metabolic processes: 19 amino acids, 21 trace minerals, protein, vitamin C, the B family of vitamins, vitamin E and essential fatty acids. Protect the Eyes - Goji berries may protect the retina of the eye. Goji berries contain zeaxanthin, a compound related to vitamin A that becomes concentrated in the macular tissue of the eye and may protect the retina. Age-related macular degeneration, or the deterioration of the retina, is the leading cause of vision loss in elderly Americans.